All pictures should be this sharp. Some of us are old enough to remember when our warriors returned from battle, embraced by a grateful nation, with a trusty Ka-Bar combat knife tucked into their duffel. Once stateside, that knife wasn’t put on display — it was put to work around the homestead, and it probably was carried along on hunts and other woodland forays. That’s a tradition honored by the Harsey Hunter from Spartan Blades. By design, it’s a tool that a service member could carry in combat, and yet continue to use when camping and hunting after returning from war. From the tip of its drop-point S35VN blade to the pommel of its sculpted, Micarta-slabbed grip, the Harsey Hunter is, well, righteous. This collaboration between Spartan and Bill Harsey is as impressive as any edged tool we’ve ever handled. 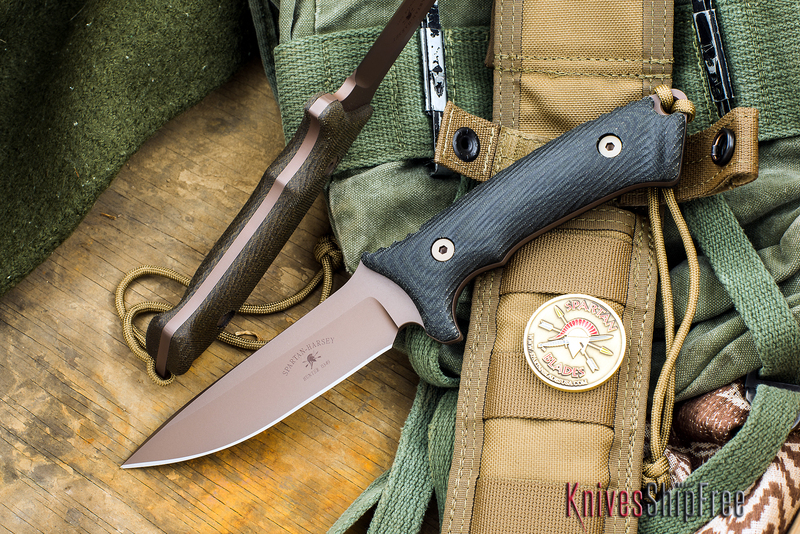 This entry was posted in Hunting, Spartan Blades and tagged Micarta. Bookmark the permalink.